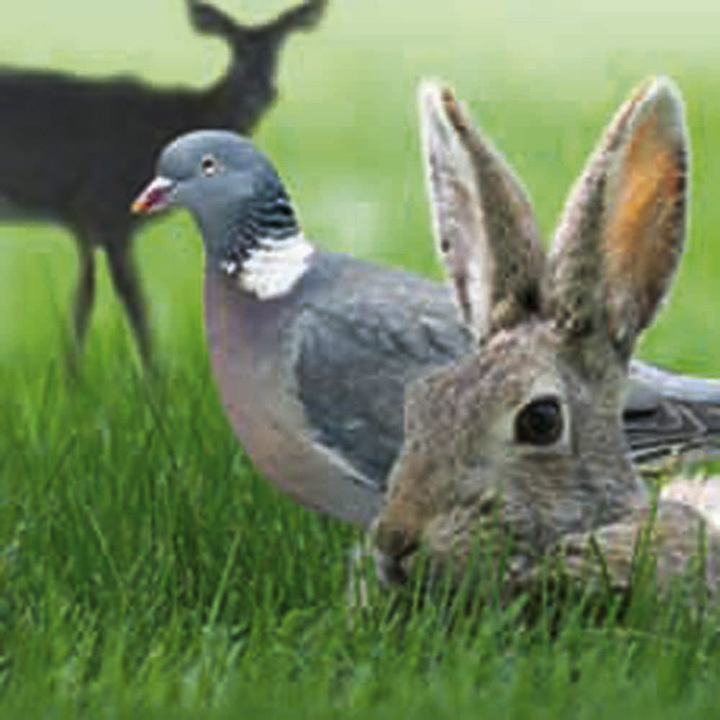 An easy, effective solution to damage caused by grazing rabbits, deer, pigeons and geese. Ideal for use on shrubs, bedding plants, fruit bushes, vegetable plants and lawns, it can be simply mixed and sprayed onto the areas you wish to protect. 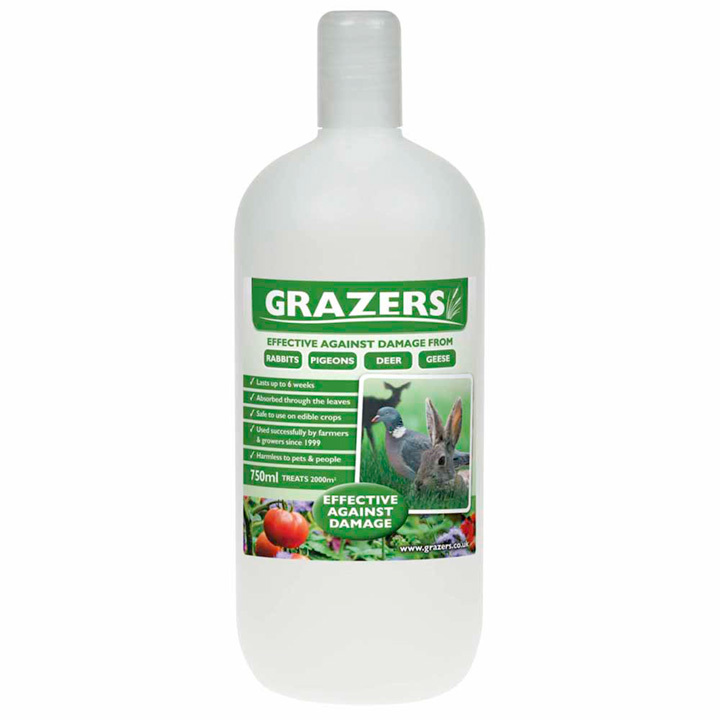 It's completely safe to use on edible crops, is odourless to the human nose, and safe for pets. A single treatment lasts for up to 6 weeks. Our 750ml bottle treats up to 2000m².